Dutch newspaper De Volkskrant asked us to make a photograph for their documentary photography special, with the theme Family. 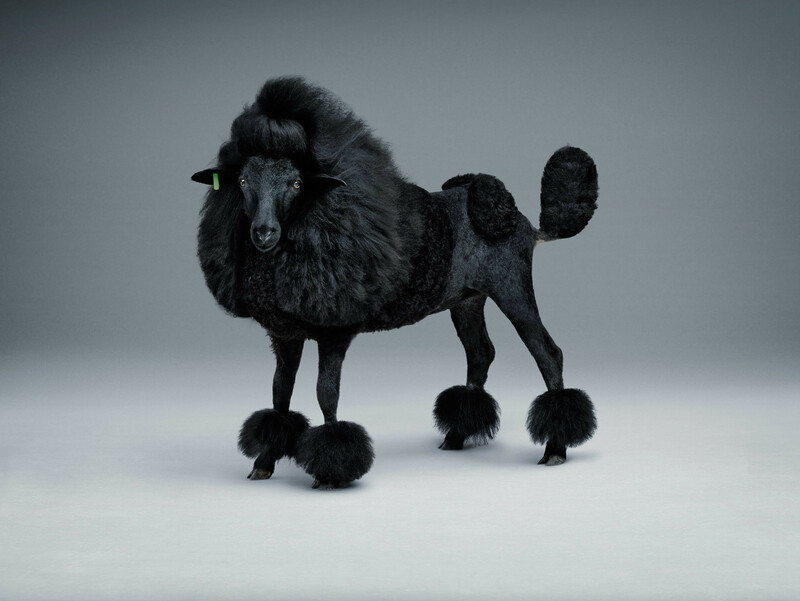 We wanted to make a photo of a black sheep of the family. We thought: is there a black sheep in a family of black sheeps? We invited dutch champion dog grooming Marieke Hollander to shave and groom a black sheep into a marvelous prize winning poodle.